Location: Milwaukee, Menomonee, and Kinnickinnic Rivers, Urban river trails in Milwaukee along Milwaukee, Menominee, and Kinnickinnic Rivers. 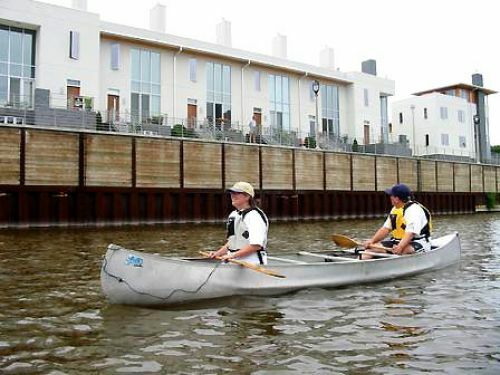 This water trail is a canoe and kayak route through urban portions of the Milwaukee, Menomonee, and Kinnickinnic Rivers that provides for 35 miles of access and paddling to the 1.5 million people in the Greater Milwaukee Metropolitan Area. A map and brochure was developed that indicates safe and legal river access points and amenities such as restrooms and parking. It also describes the multitude of river oriented outstanding natural, cultural, and historical points of interest. The maps identify critical areas such as rapids, dams, and natural falls that need to be portaged as well as areas of heavy motor boat traffic. 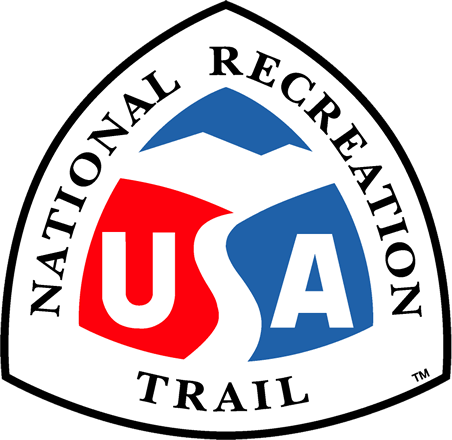 Artwork is incorporated into the trail with the creation of a logo designed by a graduate student of the Milwaukee Institute of Art and Design. This logo will be used on all directional and access signs and is an essential element of the brochure. The project partnership included Friends of Milwaukee's Rivers, the National Park Service Rivers and Trails Program, Wisconsin Department of Natural Resources, City of Milwaukee, Milwaukee County, PDI site engineering, Badger State Boating Society, and many individual boaters. Funding was received from the Wisconsin Coastal Management Program, Wisconsin Energy Foundation, Badger State Boating Society, American Canoe Association, Wisconsin Department of Natural Resources, Bert L. and Patricia S. Steigleder Charitable Trust, Milwaukee River Revitalization Council, and the Milwaukee RiverWalk District.